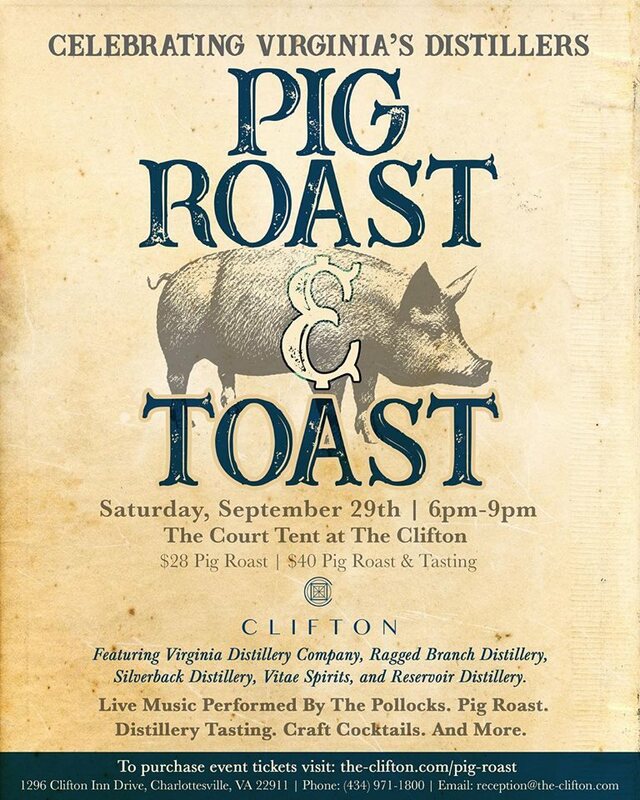 The Clifton welcomes you to the end of the summer, headed into fall pig roast with spirit tastings from your favorite local distilleries and local purveyors. From 6-9pm, Saturday September 29th under Clifton’s Court Tent, enjoy live music, dancing, spirit tasting and a pig roast! Tickets are $28 per person for Pig Roast only and $40 per person for Pig Roast and Tasting. There will be a full bar available for purchasing craft cocktails, beer, and wine.